If arriving early, head out and explore the city. Madrid has it all; history, architecture, museums, galleries, beautiful parks, and wild nightlife. The capital's most exciting street is the Gran Vía, but be sure to visit the Plaza Mayor – the true heart of Madrid. Enjoy a coffee in one of the plaza’s many cafés and watch the world go by. Enjoy some spectacular people watching with a visit to the Plaza Mayor, the true heart of the city. Enjoy a coffee in one of the plaza’s many cafes and watch the world go by. Take in some culture with a trip to the Museo del Prado, one of the greatest art galleries in the world, and a definite highlight of any Madrid trip. Be inspired by its collections and exhibitions: the museum's main emphasis is 15th to 19th century Spanish, Flemish, and Italian art, but there is plenty of Goya and a wealth of paintings by Diego Velázquez. 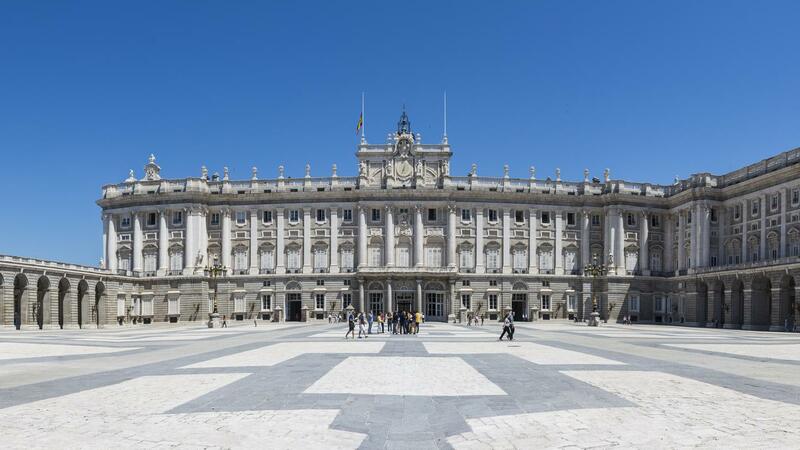 See how kings and queens live, with a visit to the Palacio Real, the official (and uninhabited) palace of the King of Spain. Wander the rooms to take in some of the most elaborately decorated and furnished rooms you'll ever see. Known as the "green heart" of Madrid, a walk through these beautiful grounds will make you feel one with nature when looking to take a break from the hustle and bustle of the city. 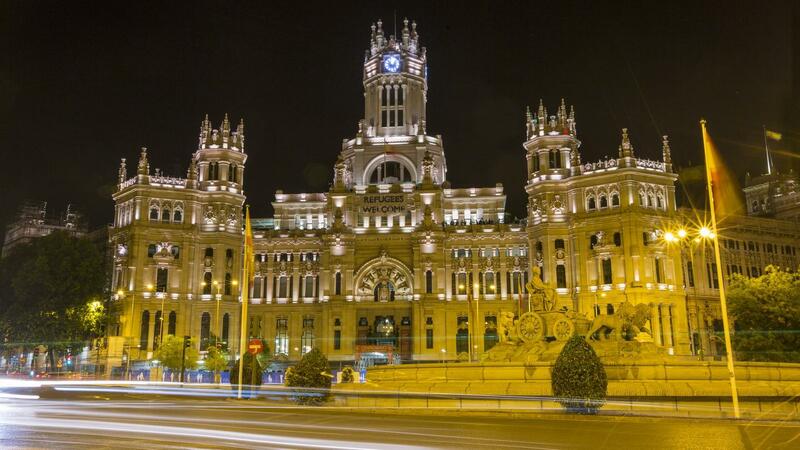 Keep an eye out for stunning landmarks like the Peurto de Alcala and de Cibeles along the way. Recover from an art overdose with a visit to the beautiful Real Jardin Botánico, a large botanical garden near the Prado Museum. With a local historian, we explore the World Heritage city of Toledo and the old quarter, which is considered an open-air museum. Known as the “city of three cultures,” Toledo conserves its artistic and cultural heritage behind its walls, featuring historic churches, palaces, fortresses, mosques, and synagogues. 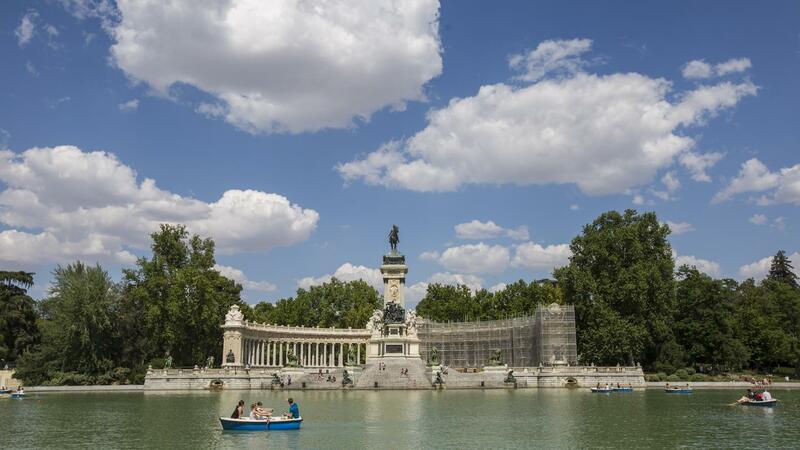 Opt to visit the Museo del Prado, the Gran Vía or Plaza Mayor. 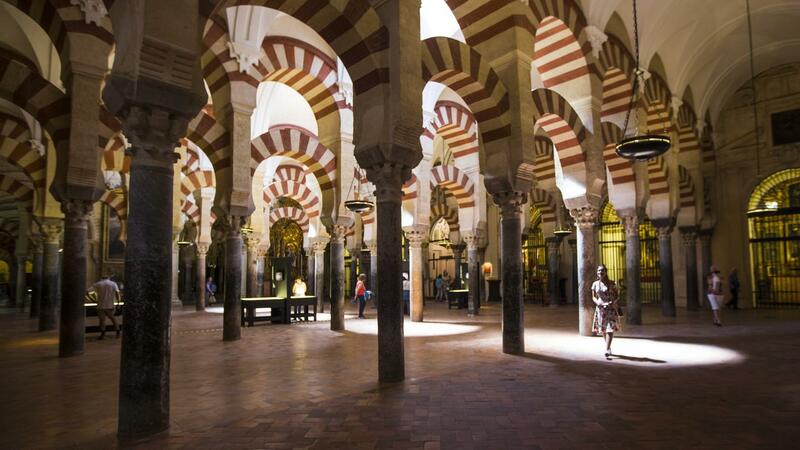 Be amazed by the diverse and stunning architecture of Córdoba's most famous monument, the extraordinary Mezquita. Built as a mosque in 785 by the Moors, the Mezquita was converted in the 16th century by the remarkable addition of a Christian cathedral inserted into the centre of the building. We highly recommend booking a guided tour to get a fuller understanding. Wander among narrow winding lanes, traditional houses, and charming cafés in Cordoba's historic medieval Jewish quarter. Discover one of Spain’s three remaining synagogues. As the birthplace of flamenco, Spain is the perfect place to learn some new steps. Flamenco is one of the most recognizable elements of Spanish culture and incorporates three key elements: guitar, song and dance. Embrace the culture as we visit a studio in the heart of the ancient Albaicin quarter of Granada to enjoy a private lesson from a professional dancer – the perfect introduction for when you head out later that evening. Be taken by the beauty of one of the largest cathedrals in Spain on this visit to the Cathedral of Granada. Tour its beautiful facades and interiors that house a grand altar and numerous chapels. Built by Queen Isabella, it is a masterpiece of Spanish-Renaissance style. Nestled between the old fish market and Church of Sagrario is the Royal Chapel of Granada - the burial place of King Ferdinand and Queen Isabel of the 15th century Spanish monarch. Constructed beginning in 1504, this ornate monument displays exquisitely carved tombs of the royal family. Enjoy a guided visit to an architectural masterpiece - the Alhambra. It's one of the greatest accomplishments of Islamic art and architecture, and the highlight of our trip for most visitors. After, enjoy free time to explore Granada. Enjoy a guided visit of the Alhambra, one of the greatest accomplishments of Islamic art and architecture. 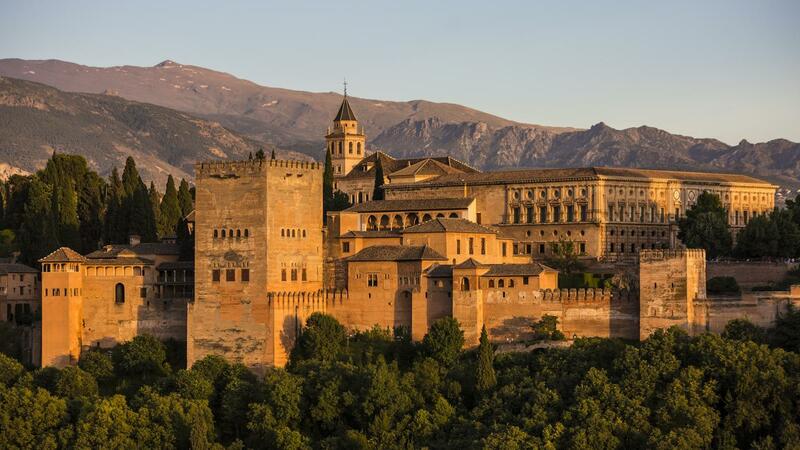 Learn about Granada’s reign as one of the region’s most regal cities during the Muslim rule of Spain, which is captured in time within the Alhambra. Free time to explore with the option to take a bike tour or visit the cathedral. Wander through the historic quarter of the Albaicin. Try to head there for sunset. With its narrow lanes and fantastic views back to the Alhambra, visitors are rewarded with a spectacular colour-washed skyline when the sun goes down. Take a stroll around the colourful streets of Realajo - the historic Jewish neighbourhood of Granada. Sit down to a delicious tapas meal at one of the many restaurants or enjoy a glass of wine at a local bar. Keep an eye out for the stunning 16th century architecture of the Palace of La Casa de los Tiros. If you find yourself walking through a cathedral adorned with golden glittering embellishments at every corner, you are likely visiting the Basílica San Juan de Díos. Climb the stairs behind the alter to visit the site of the saint's remains. Sit down to dinner and enjoy a traditional flamenco performance. Be swept away by the flamenco's passion, fire, and grit! Visit the true heart of Seville, the Santa Cruz quarter. A charming area with winding alleys, picturesque lime-washed houses, flowery patios, and small squares, you can wander, shop, or just soak in the neighbourhood's quaint atmosphere while enjoying a refreshing drink (sangria, perhaps) at one of the local restaurants. Start wandering around this charismatic city. Explore the wonderful interiors and gardens of the Alcázar, a royal palace that was originally a Moorish fort. Arrive during the evening in the summer months (until mid-September) and enjoy a series of concerts in the beautiful setting of the Reales Alcázares. Climb the tower known as La Giralda, adjacent to the world's largest Gothic cathedral, for spectacular views and a walk among historic walls. 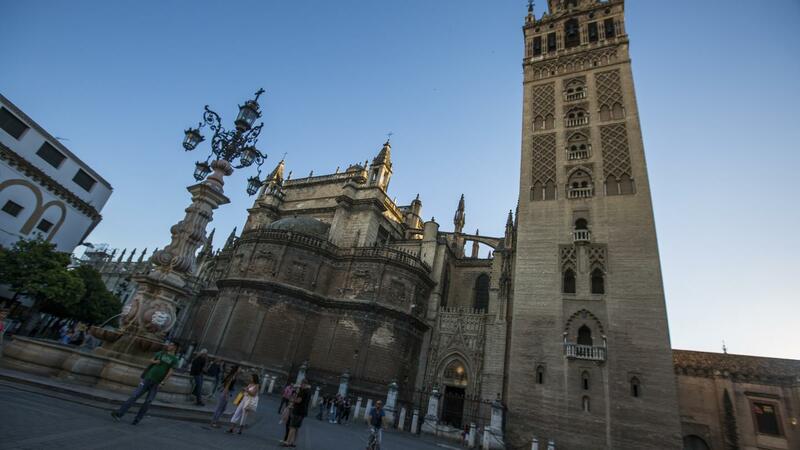 The 76m (249 ft) Giralda was constructed by the Moors as a mosque between 1184 and 1197. In 1568, after the reconquest, Christians fit the minaret with its bell tower. 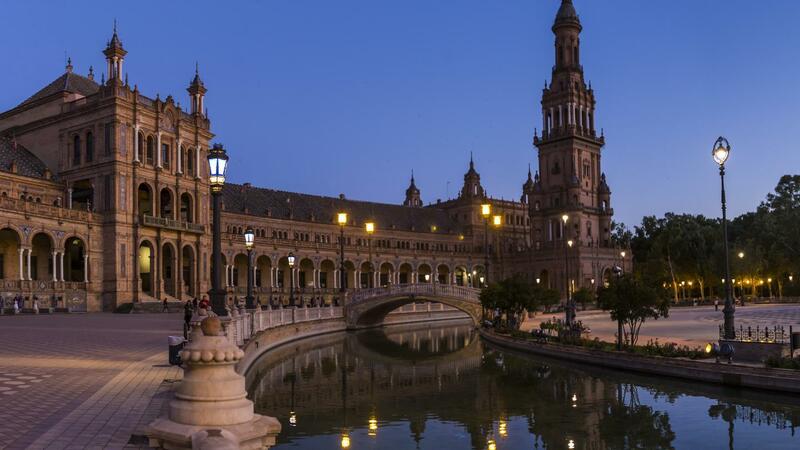 Take a visit to marvel at one of the grandest mansions in Seville. The home is still inhabited by the Medinaceli family, but remains open to visitor tours during operating hours. 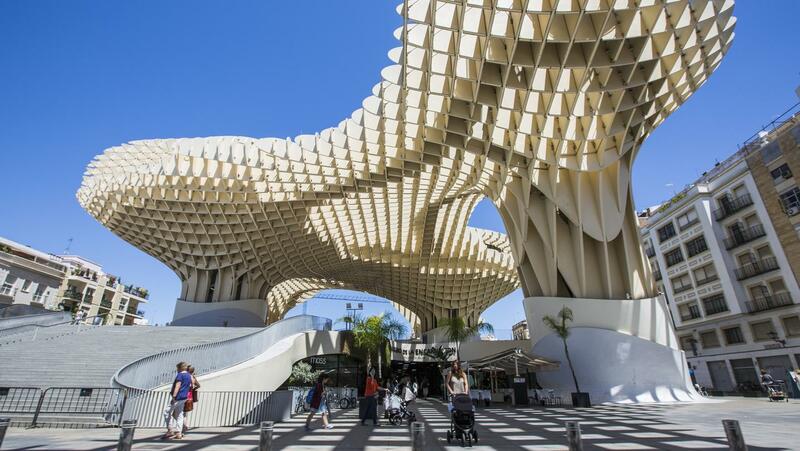 Get a taste of Seville's energetic pulse with a full free day in the city. Explore its Muslim monuments, parks, and gardens at leisure. After your CEO has taken you on a short orientation walk to get your bearings, you will have time to take in all this great city has to offer. Enjoy a flamenco performance in the city known for the energetic dance. Be swept away by the flamenco's passion, fire, and grit! Allow USD405-530 for meals not included. 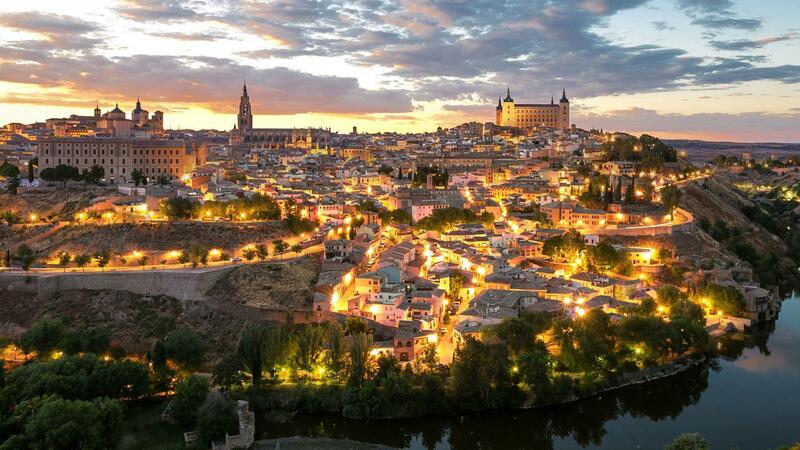 National Geographic Journeys Exclusives: Historic City of Toledo visit, Toledo. National Geographic Journeys Exclusives: Flamenco Dancing Experience, Granada. 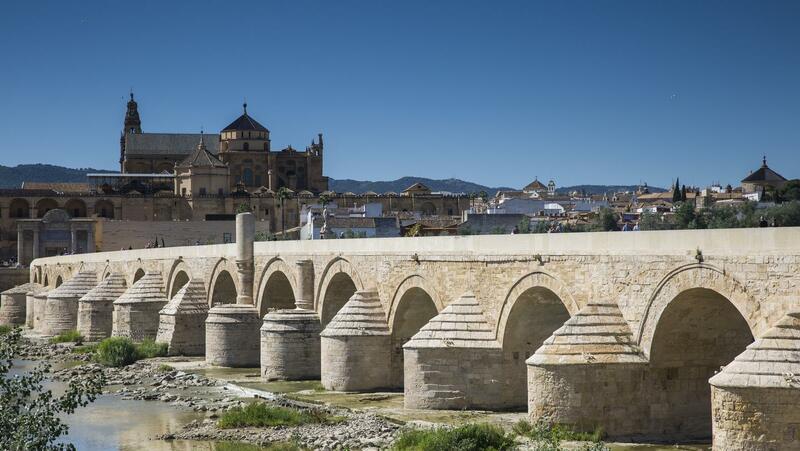 Explore Cordoba including the Mezquita (mosque) and the medieval Jewish quarter. Granada orientation walk including a guided visit of the Alhambra. All transport between destinations and to/from included activities. Visit the UNESCO World Heritage site of Toledo, Explore the Alhambra (one of the greatest achievements in Moorish architecture), Enjoy a private Flamenco lesson. It is important to note that accommodations in Europe tend to be quite different to other areas of the world you may have travelled in. Buildings and rooms are generally old and may not have been renovated or maintained to the highest standard. Downtown hotels in Europe were not built to be hotels, but rich owners houses, which have been changed into hotels. Therefore unusual room sizes are common as large rooms have been partitioned in the past, resulting in rather "thin" walls. Reception areas, rooms and bathrooms tend to be very small as they were often added into an existing room, and may have a hand nozzle rather than a conventional shower head. Credit cards and debit cards are very useful for cash advances but you must remember to bring your PIN number (be aware that many ATM machines only accept 4-digit PINs). Both Cirrus and Plus system cards are the most widely accepted debit cards. Visa cards are the most widely accepted credit cards. While ATMs are commonly available, there are no guarantees that your credit or debit cards will actually work in Greece - Check with your bank. You should be aware when purchasing products or services on a credit card, that a fee usually applies.